In the new HBO series The Leftovers 2% of the world’s population vanished into thin air. It seems to fit the Christian idea of The Rapture, when those who are “saved” are spirited away to heaven while the rest of the people await judgement, but the array of people is seemingly too random. That doesn’t seem like 2% of the world’s celebrities. Who else do you think got taken? Lil Wayne? Honey Boo Boo? Angelina Jolie? UPDATE – Gossip Cop spoke with Leftovers‘ co-creator Damon Lindelof at the show’s red carpet premiere event and they asked him about the list of celebrities. “A lot of them were from Tom’s book,” Lindelof said, referring to Tom Perrotta’s novel Leftovers that inspired the series. 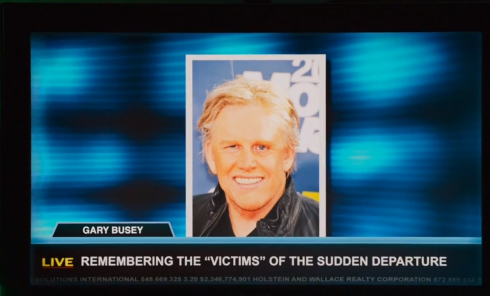 “The only celebrity I threw into the mix was Gary Busey,” he adds. 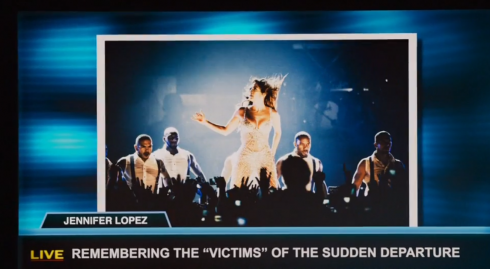 Steven Tyler quits American Idol, is JLo leaving too?